Effective with revision 6.0, Secure4Access now includes full cross platform integration of Unix/Linux, Active Directory and LDAP accounts allowing for seamless user access and management. Create and manage local, LDAP and Active Directory accounts and groups from Unix/Linux using the Secure4Access management tool. 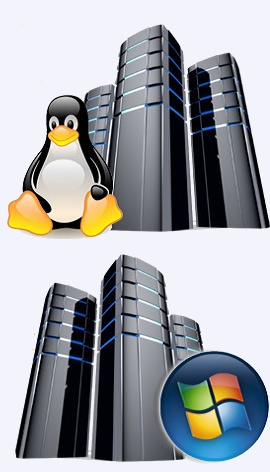 Cross-platform accounts have a synchronized superset of Secure4Access, Active Directory and Unix/Linux privileges. LDAP/Active Directory account management is restricted to specified Unix/Linux manager systems. 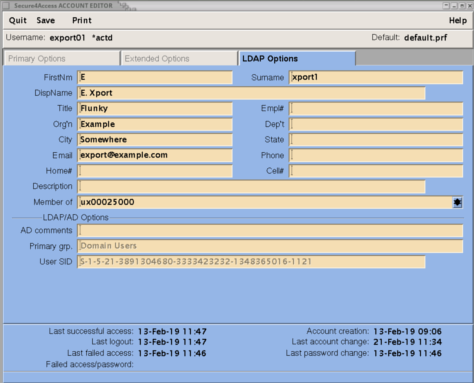 Easily export existing local accounts to LDAP and Active Directory. Activate existing Active Directory accounts for use on a Unix/Linux network with a single command. 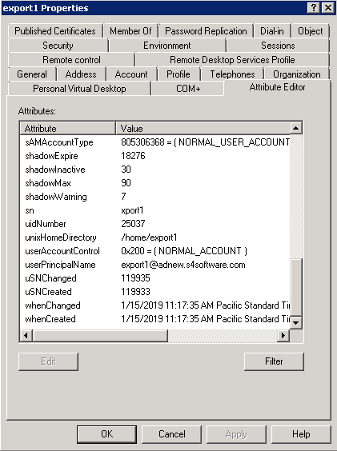 UID and GID allocation for Active Directory accounts is handled automatically without the need for UID/SID cross-reference tables. Active Directory and local account UIDs are allocated in separate system management defined ranges. Local, LDAP and Active Directory account records are accessible from all configured Unix/Linux systems using the name service switch (NSS). A Secure4Access pluggable authentication module (PAM) allows all PAM-enabled applications to authenticate against all cross-platform accounts and their passwords. Account credentials/passwords and expiration are consistent across all systems. Changes made on any system will be available to all. A menu driven configuration program provides quick and easy Secure4Access installation and configuration with LDAP and Active Directory. Automatically update PAM and NSS configuration files. Add and remove Unix/Linux LDAP/AD manager system privileges. An extensive range of Secure4Access configuration options are available to allow you to make the key management decisions.